Dalilah is Labrador Retriver/Great Dane mix who is 7 months and 40 lbs. She is a sweetheart. Even though she is a large girl, she is calm, good-natured and very affectionate. Dalalah plays well with others, she is good with all people and children. Dalilah is learning all the good puppy commands. Even though Dalilah needs adequate exercise she would love to be a lap dog! Dalilah really needs a forever home. She is hoping you will. In the canine heart there is always hope. Every dog deserves a safe and loving home. Please lets find her a loving home! 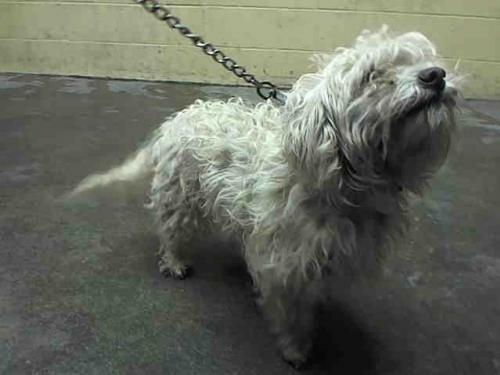 Colita is a Poodle Terrier mix who is around two years old. She is sitting at the local animal county shelter. She is lonely and scared, hoping to find a family who will show her love. Please lets find her a great home! 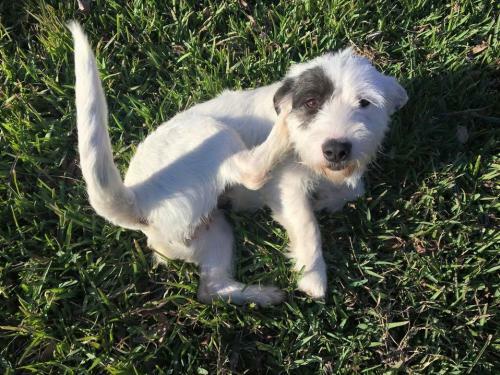 Amber Heard is a Terrier mix who is approximately 2 years old and about 35 pounds, she is long, short-legged, and very adorable. She gets along with other dogs and furious tail wagging ensues anytime she sees meets a human. She likes the great outdoors and loves chew toys, but Amber also all right chilling at home. She's just getting started with her obedience skills, but she's already cratetrained, mostly housebroken, and has so much fun learning the ropes. Please lets find her a good home! 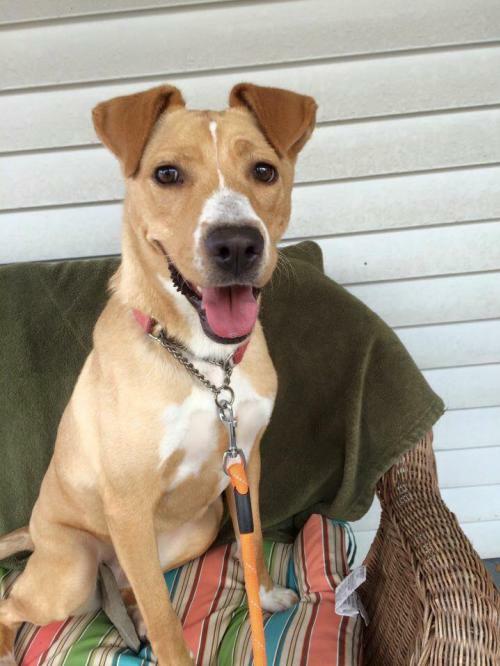 Daisy is a Labrador Retriever/Collie mix who is around 20 months and 50 lbs. She would love a doggie sibling and a backyard to play in. She's house and crate trained and is learning all her commands. She's affectionate and cuddly. Please lets find her a loving home! 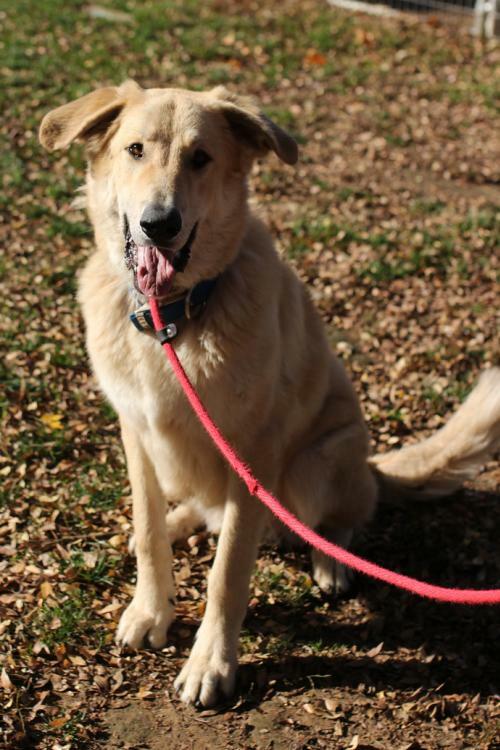 Hercules is a Great Pyrenees/Wolfhound mix who is around 1 years old and 100 lbs. He is one big, powerful, large and in charge canine. He is very tall, like a horse really- all his dog friends love to run underneath him when they play. He has a lot of energy. Is not a couch potato and wants to run, jump, gallop around and play with toys all day long. He also loves playing with other dogs. His homes must have a sense of humor since he is very goofy and loves to clown around. He needs an experienced dog owner that is active and will take him for walks and trips to play with dog friends. One has to have some muscles to walk with him. He is friendly and exuberant, also perfectly safe with kids- but older, bigger kids might be best. He is very smart and knows some commands but his manners could certainly be more refined. Best part is his love won’t cost a thing because a generous donor already paid my adoption fee so he is free to the right home. Please lets find him a great home! 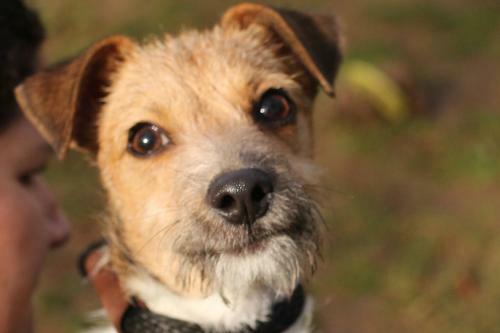 Peter is a Jack Russell Terrier mix who is 6 months old. He is a bouncy, happy little guy. He is a super fun and adorable. He took his freedom ride to our safe haven from an overcrowded southern facility. He is ready to make your life and home complete. Please lets find him a good home! 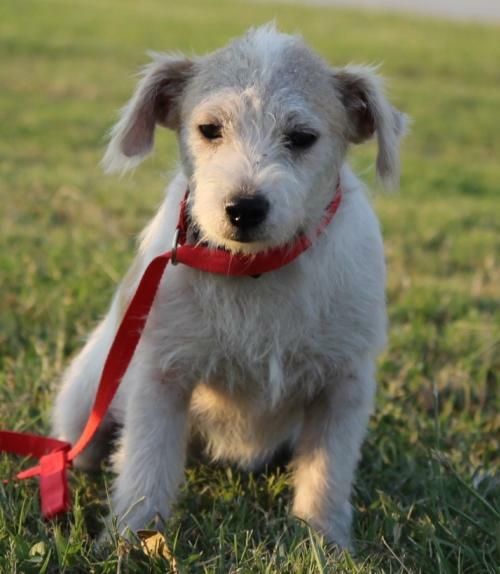 Leonardo is a Schnauzer mix who is about 7 months old. He was found inside a box in a dumpster with his 5 siblings. A good samaritan rescued them. For being a puppy he is a calm dog. He loves to play with his sibling puppies, and is very affectionate toward people. He is great with kids. He is crate trained and house trained too. Please lets find him a loving home! Dixie is a Dachshund mix. Shewas found after she had been hit by a car. 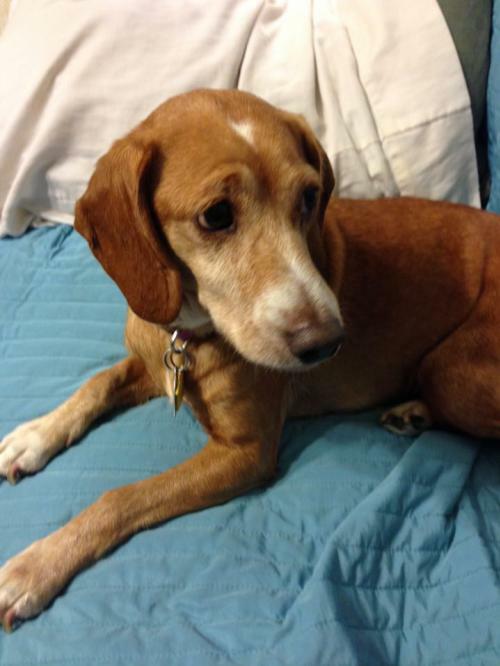 Dixie has a broken pelvis and is heart worm positive, but she is on the road to recovery. A few weeks of bed rest and then she should be perfect. What a sweet personality. She is a little love bug. Please lets find her a great home!